In Europe, slow growth appears likely to continue, with some regional differentiation. Spain is doing much better than it had been just 18 months ago, and even Italy looks somewhat healthy now that its political crisis has passed. Importantly, fiscal pressure in the form of austerity programs is slated to ease somewhat this year. In a positive scenario, this could boost GDP growth, improve revenue growth for corporations, and result in better margins for companies that streamlined their operations during the period of austerity. In a dourer scenario, growth may remain too weak to pull up inflation, which is uncomfortably low. 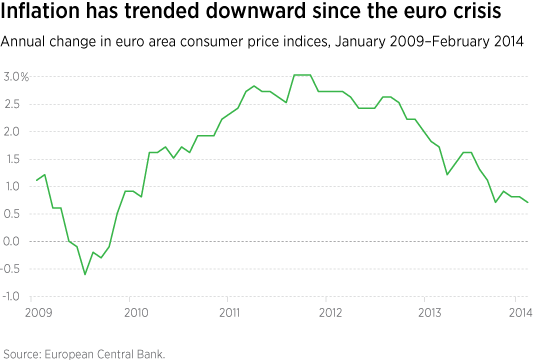 This puts the European Central Bank (ECB) in a tight spot: Essentially at the threshold of instituting negative rates, it has very limited monetary policy ammunition left to help mitigate disflationary or deflationary pressures. In the meantime, however, tightening peripheral European spreads represent a form of financial easing, for which the ECB is quite grateful. Policy in Europe remains a game of smoke and mirrors. ECB President Mario Draghi has beat the drum of stronger forward guidance and reiterated an old and untried promise to do more if circumstances require. The OMT (Outright Monetary Transactions), through which the ECB might purchase European sovereign debt in the secondary market, is such a promise. In the eyes of many policymakers, it has thankfully never had to be utilized. 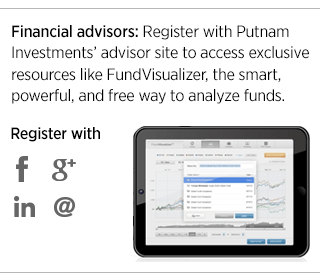 Read Putnam’s Fixed Income Outlook.